Both sentences describe the same application, but the first one simply highlights what exactly the tool is, the second explains how the application benefits you. Now, granted, if you happen to be looking for a solution that quickly sends invoices as PDFs, then the first headline will grab your attention, but just about everybody in the target audience of this app (freelancers) wants to save time and get paid faster. Mario, when small, is timid. One hit and he’s a goner. He’s short, fragile, and is always on the lookout for a mushroom to make him bigger. Now, once and a while he comes across a fire flower. The flower itself is red, it grows out of a block after Mario hits it, and doesn’t move like so many other treats in Mario world. Once Mario has the flower, he becomes Firepower Mario. He is tall, he can take a beating and continue running, he can throw FLAMING BALLS OF FIRE that kill just about every adversary. Firepower Mario is no chump. He’s the real deal, and he’s feared throughout Mario world. If your job was to sell the flower, what would you focus on? Would you describe the flower, or would you describe Firepower Mario? I’ve spent some time scouring looking at sites on Betalist.com for a few landing page headlines for applications, and separated them by ones that highlight a feature vs. highlighting a benefit. Now, for these examples, I’m solely going to comment on their choice of headline to hook me on the app, and in some cases, subhead text. I am going to avoid commenting on the design, responsiveness, concept, etc. 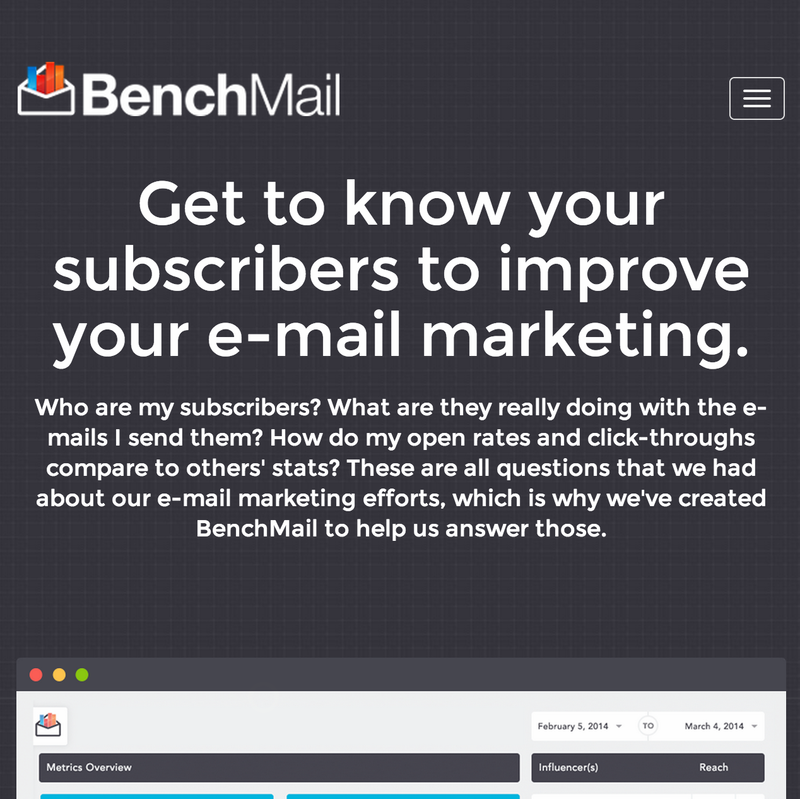 The headline on their current marketing site, “Get to know your subscribers to improve your e-mail marketing.” At first glance, I’m interested. 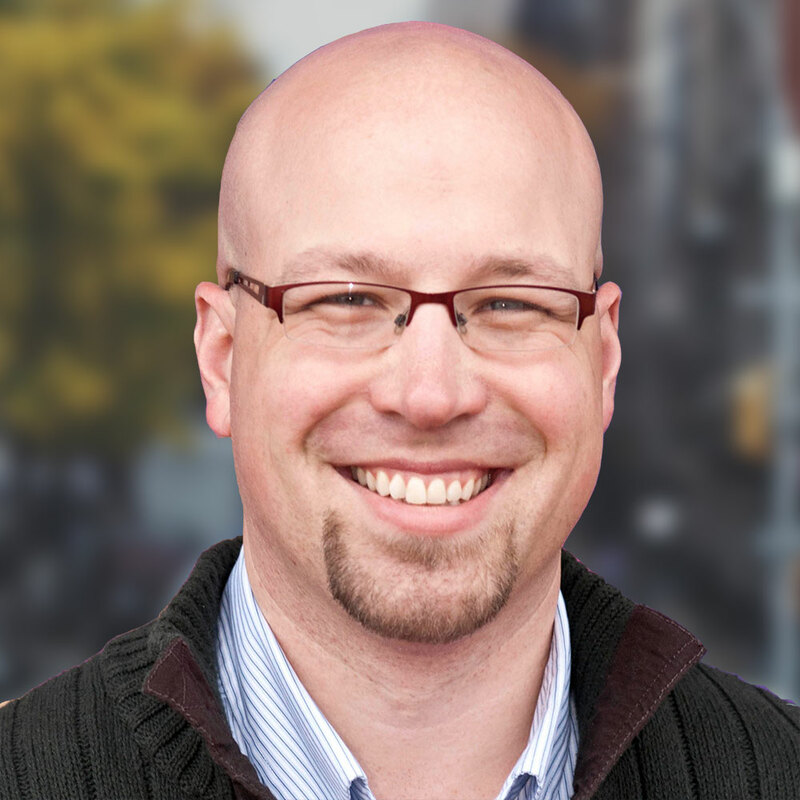 This provides a clear benefit that pertains to a particular pain point that email marketers experience. By following up with questions that marketers typically ask themselves, the people behind this app have declared that they understand the problem that email marketers face, and are proposing a solution. Like Benchmail, the folks behind Exitintent know how to start with the promise statement. “Retain More Customers”, it’s a pain point just about every business owner has! 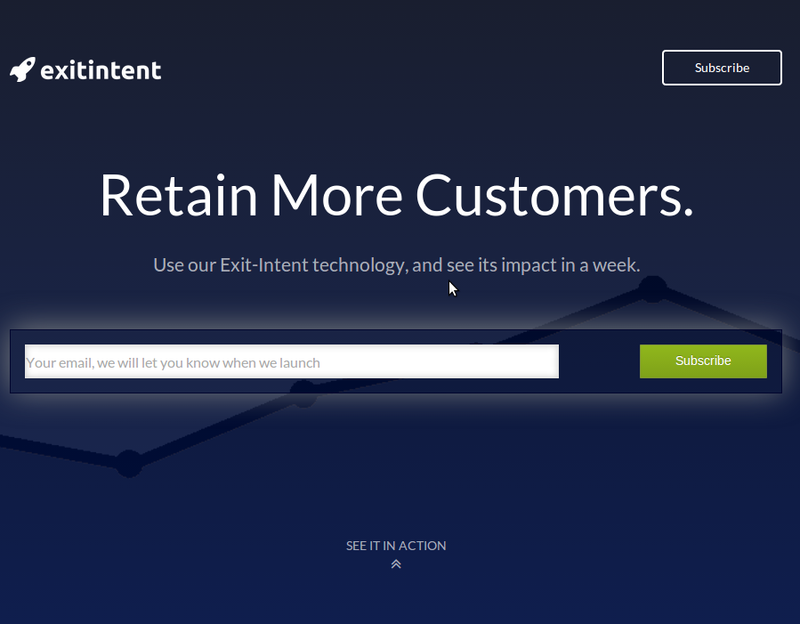 I also like their follow up, “Use our Exit-Intent technology, and see its impact in a week.” I’m not sure if this is free for a week or if they just promise that we can see results in a week, but it does draw me in and pique my curiosity about the product. The third and final site that I am highlighting here, Missinglettr, doesn’t beat around the bush when it comes to their value proposition. 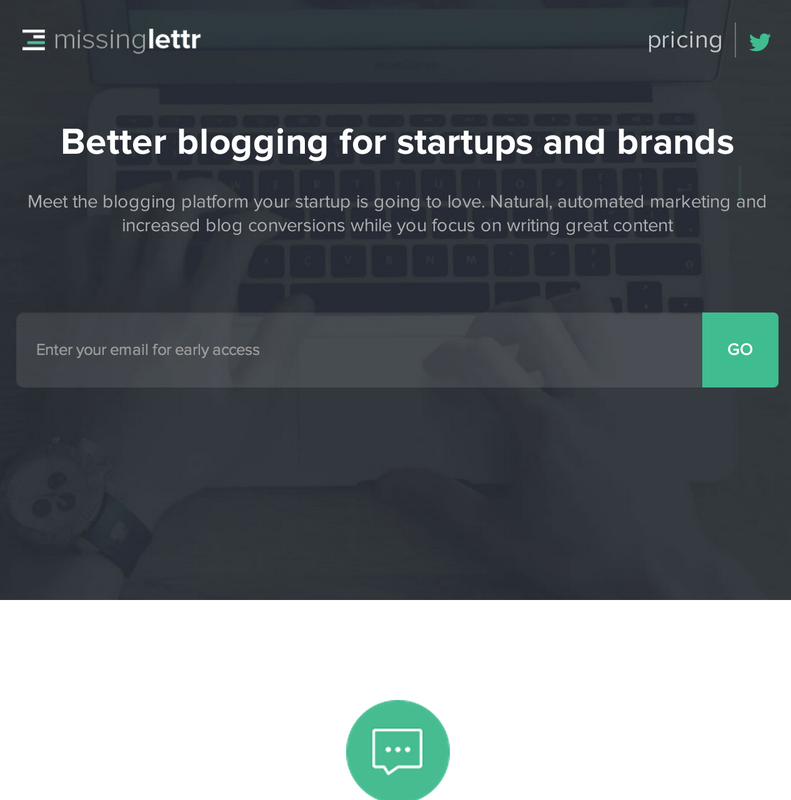 “Better blogging for startups and brands” not only describes the benefit, but also a specific audience. It makes me think, “Yes this is for me.” Notice that even in the subtext, they don’t explain a how this is better, but continue to describe how much more empowered you will be: “…increased blog conversions while you focus on writing great content.” Well done. Again, I’ll re-iterate that if someone is searching for a specific feature, then leading with that feature will likely convert well. However, as a general rule, leading with the feature is not the best way to convince the crowd to continue reading about your product. 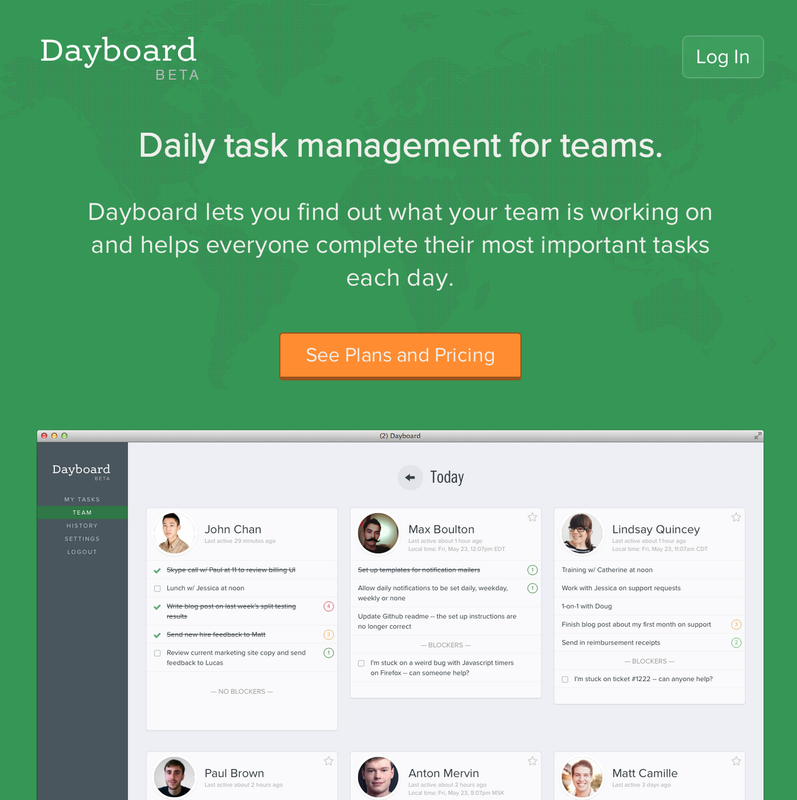 With Dayboard, they lead with “Daily task management for teams.” This is a feature. What if I’m not sure that daily task management for teams is even a good thing? Fortunately, in their subheading they state that it “helps everyone complete their most important tasks each day.” This is the “Firepower Mario” description that would hook more people in if it were featured as the headline. A more concise headline might be “Help Your Team Complete their Most Important Tasks Each Day”. 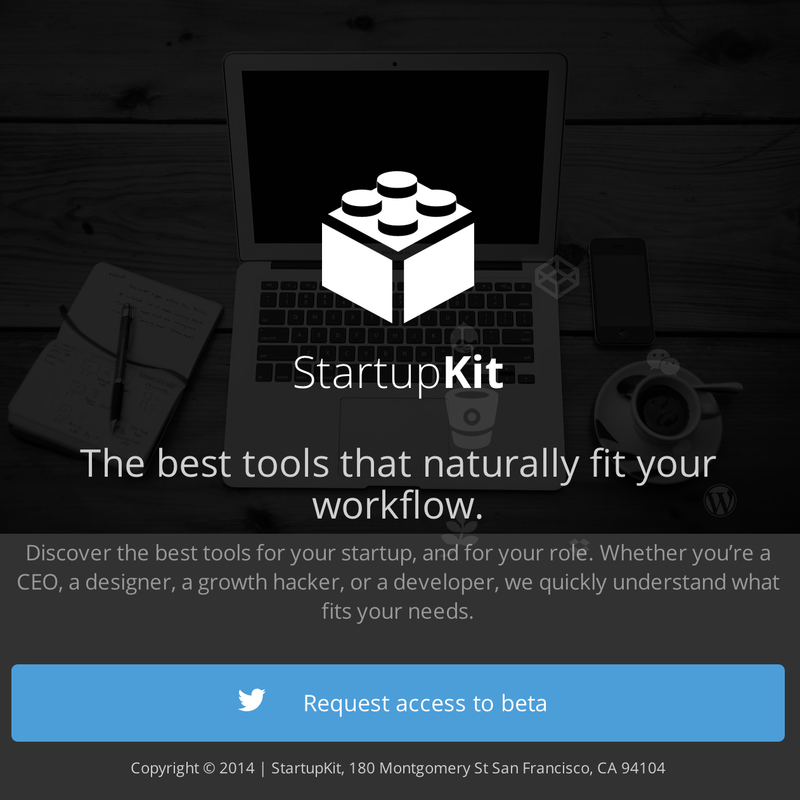 While the promise of Startupkit sounds intriguing, “The best tools that naturally fit into your workflow”, I’m still left wondering how this will benefit me. It creates more questions than it answers, and it is a big assumption that they know what fits into my workflow. After reading their subheading I get a better idea of what their tool is about, but I would have been more hooked with a headline like “Keep Abreast of the Best Tools for Startups”. I’m on the fence about Yanado. On one hand, it’s very clear what they do, and this is going to be the biggest selling point for people who are their potential customers. 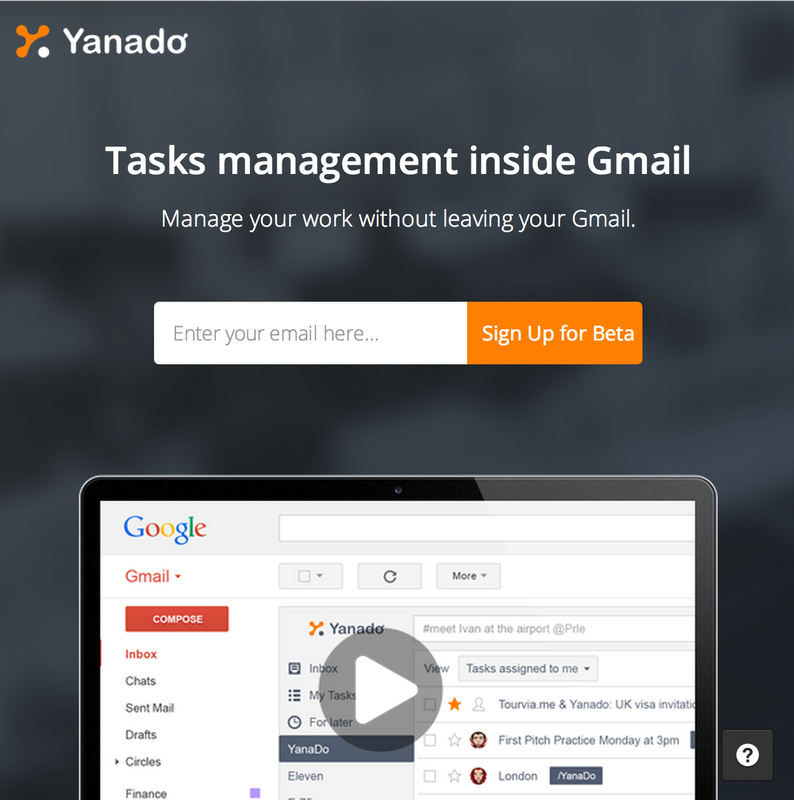 The hesitation that I have is that it still begs the question, why is having task management inside of Gmail even something people want? What value does that provide? You could tell me an app that puts my daily todo list inside of my toaster, but I’m not sure why I would need that. Does this save time? Does it make me more productive? That is what I want. I think a little more emphasis on the benefits of this service would go a long way in getting a Gmail user (like myself) to give it a shot. However, for now, I use “Things” for my task management, and the thought never occurred to me that I would like to have that app lying within my Gmail interface. Sell me on the benefits, and I’ll take a closer look. One of the talks at BaconBiz given by Jesse Mecham of the You Need a Budget software app showed the evolution of his marketing page throughout the past several years. While his current site is finely-tuned and converting well, his initial screenshots showed that he came a long way to get there. 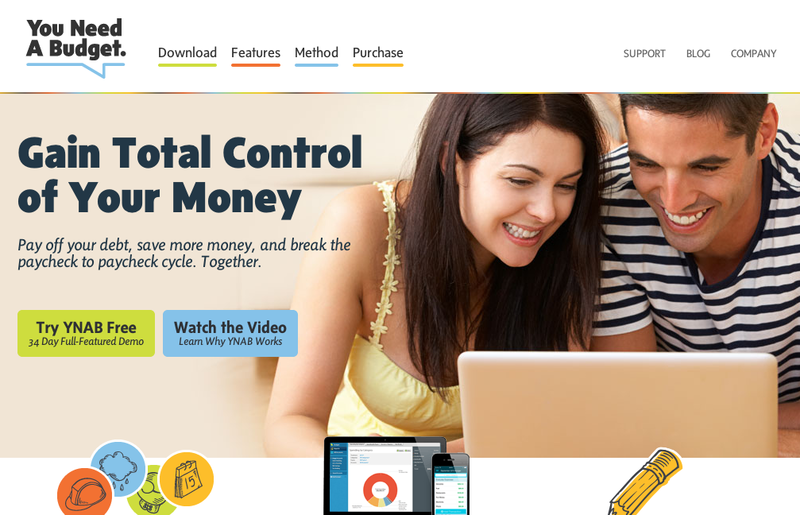 He used to have a bulleted list of features of the app, something that he currently distills down to this message, “Gain Total Control of Your Money–Pay off your debt, save more money, and break the paycheck to paycheck cycle. Together.” The benefits are clear, and he has yet to even mention that this is software he’s talking about! The point is, we all start somewhere. If you have a marketing website take a look at your homepage content and ask yourself if you are selling the flower or Firepower Mario. The technical details can come further down the page, another page altogether, or perhaps not even at all. Some apps just throw you in and show you the features as you try them out via interactive demo. What do you think of these breakdowns? Do you agree? Disagree? Do you have a site that you’ve tweaked to highlight the benefits before? What was the result?